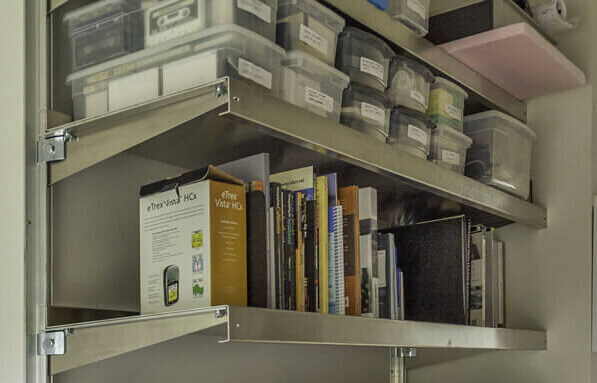 Office Shelving Systems by E-Z Shelving Systems, inc.
With custom shelf lengths, over a dozen available shelf depths, and a variety of heavy-duty finishes, E-Z Shelving is a perfect fit for office shelving systems. Add infinitely-adjustable storage, display, and work surfaces wherever you need them – even in difficult, underutilized spaces such as closets, nooks, and under stairs. 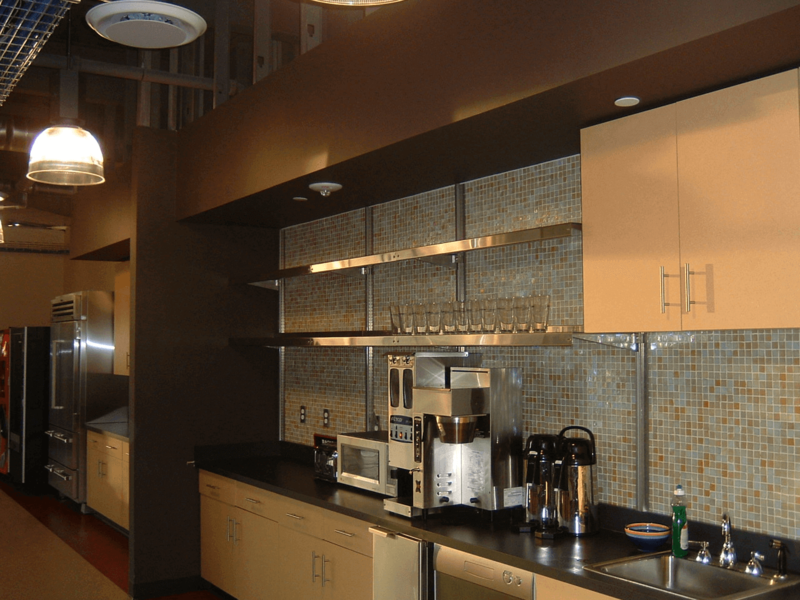 E-Z Shelving provides custom shelf lengths to fit any alcove or niche. E-Z Shelving’s zinc-plated brackets and galvanized shelves are the right choice when a hint of cool blue is needed to complement other tones. E-Z metal shelves features four total bends. 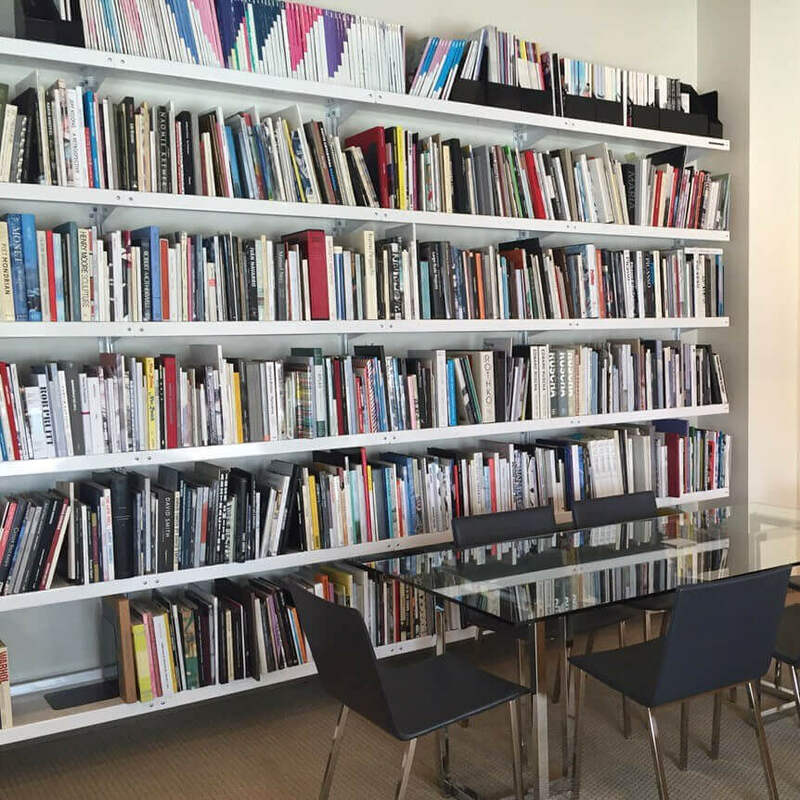 The result is a very rigid shelf that produces clean lines across long expanses. 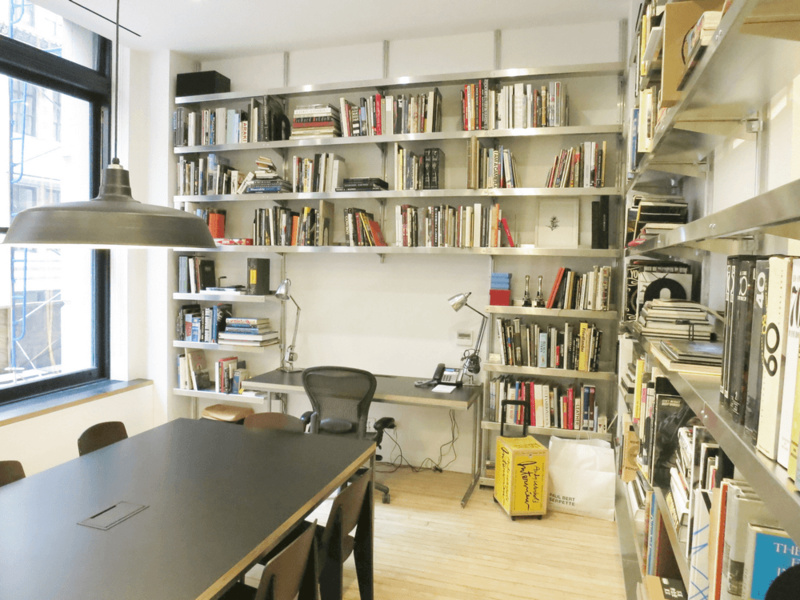 Build a custom work area with shelves of different depths, spaced exactly as you want them. Ask us how to hide wiring and cabling. Building your shelves above and around other room elements is easy to accomplish. Just send us dimensions. E-Z Shelving’s look is more substantial than that of other shelving systems. You’ll be happy you chose it. 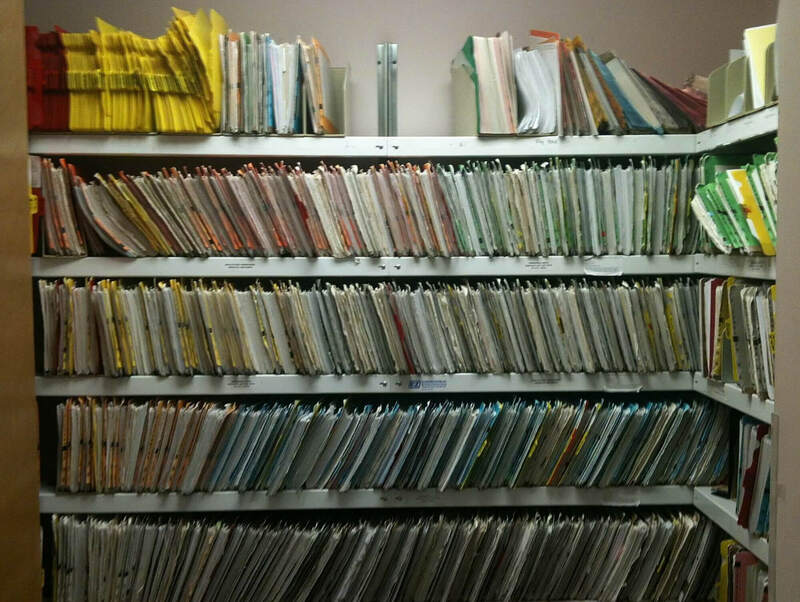 E-Z is the right choice for visual filing systems. This customer installed the shelving brackets with the flanges pointing outwards. Installing these brackets on the right side, with flanges inwards, hides the wing nuts. 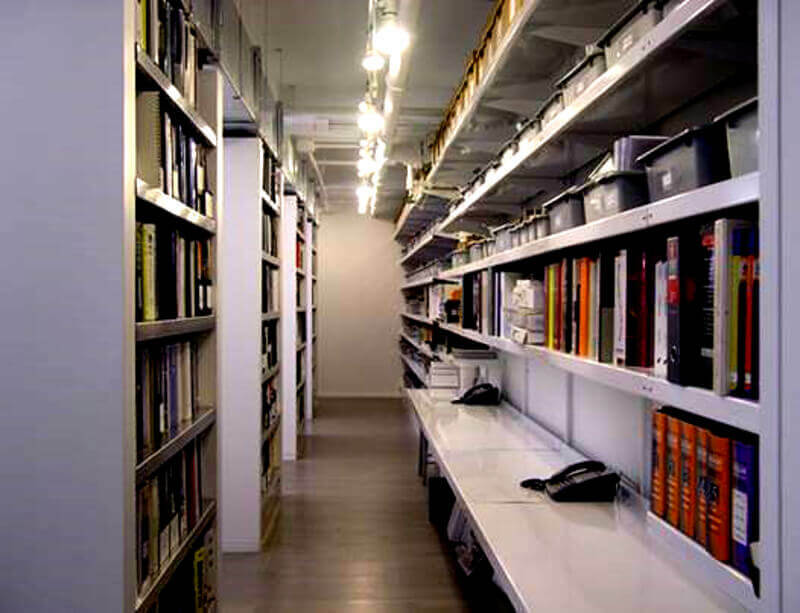 This multi-media library includes overhead storage, work surfaces, and shelving built into partitions. 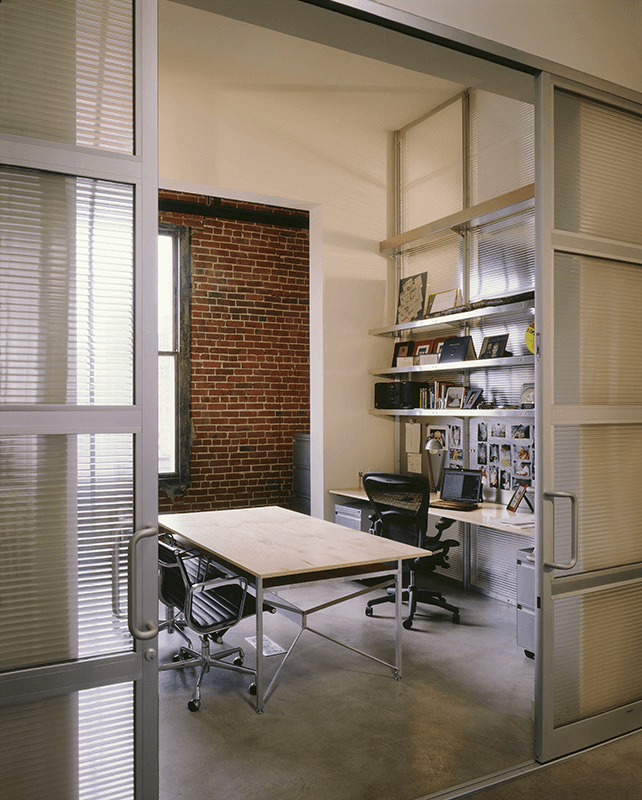 Steel shelves finished in white powder coat are a popular choice in office settings.